There's a very special event..and that is my 2nd Blogversary! 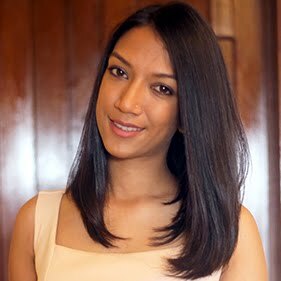 I still do not realise I've been blogging for almost two years! I really want to do something special on that occasion but have yet to think about any kicking plan, but rest assured it is en cours with Le Monsieur! 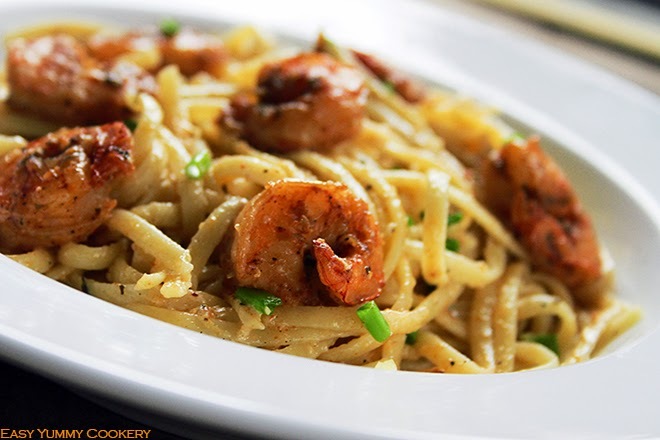 Without any further delay, let's jump to the Recipe Of The Day - Linguine Alfredo with Cajun Shrimp! I haven't always been a huge fan of pasta until recently! 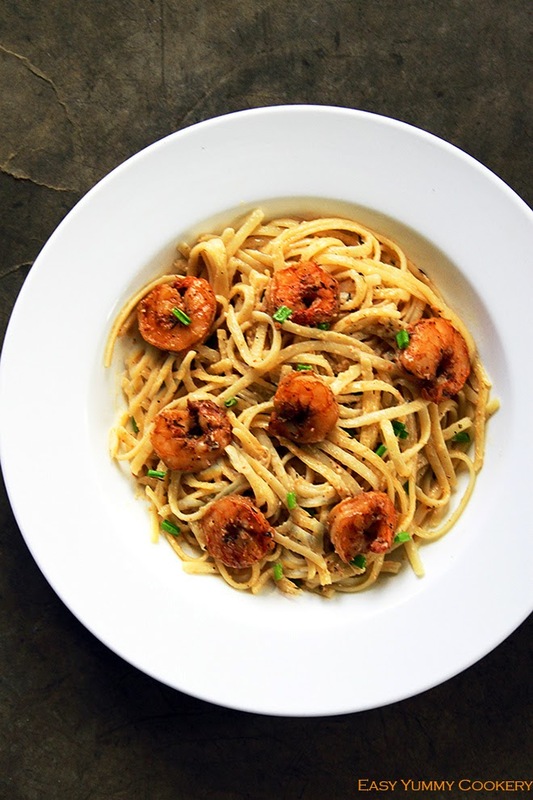 Because in my books, pasta and shrimps are best friends! It's like Heaven in the mouth. This recipe does not take longer than 30 minutes to make (even 30 minutes are an overstatement here!). And for the meagre time that it takes to make this flavoursome pasta dish, you will never believe that it can be this big on zippy cajun relish! To add to it, though my sister, S, absolutely rejoiced this dish, the only thing she complained about was the taste of the parmesan! She perfectly hates cheese!! Just like the mother, S! I guess it's because they have the same initials! As I write this, I must tell you I've been going crazy about pizzas lately! And have made tons of them, (one with cajun shrimp too!!). The two last ones were Margheritas, one with fresh mozzarella and the other had shredded mozzarella! S, the sister, liked the one with the fresh mozzarella! And that begins with an S too!!! Set a pot of salted boiling water over medium heat and cook the pasta according to packaging instructions until al dente. Combine the shrimps and 2 tablespoons of the cajun seasoning in a bowl and set aside. Melt the butter in a frying pan, and add the crushed garlic. Let sauté for a few seconds. Add the seasoned shrimps to the pan and allow to cook for 2-3 minutes or until shrimps turn pink. Toss in the broth, heavy cream, the rest of the cajun seasoning and parmesan into the pan and allow to simmer on medium-low heat until thickened. This should take approximately 5-6 minutes. Toss in the pasta in the alfredo sauce and garnish with chopped spring onions. If you're like my sister, and detest cheese, you can always reduce the amount of parmesan to 1/2 Cup! This is how you get the best of both worlds - Easy and Delish! Hope you enjoyed this recipe! I look forward to your comments! 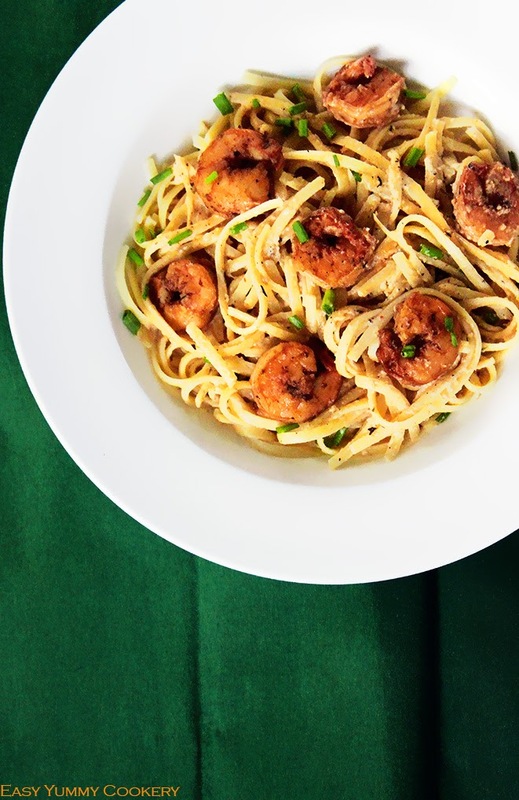 Droolworthy linguine alfredo..I can have it everyday without fuss. I am drooling here... slurp!! !